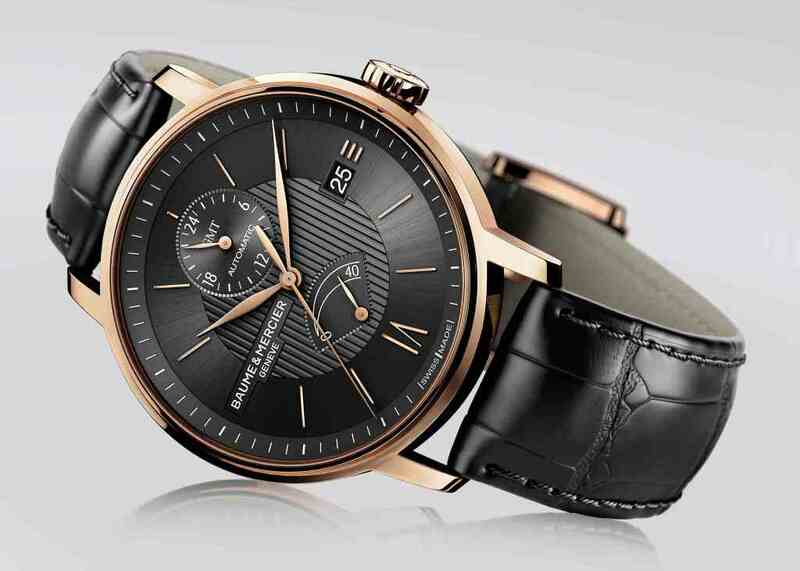 The Classima 2011 collection will be featuring a superb Red Gold Dual time & Power Reserve watch. This model is distinguished by its 39 mm case made from 18-carat red gold that gives it a touch of warmth and sophistication. It is equipped with a self-winding Soprod 9035 movement adorned with a “Côtes de Genève” motif. The elegant black dial features a straight-line guilloché pattern and gilt hour-markers, complemented by an alligator leather strap in the same shade. The dual time-zone and power-reserve functions, along with the case-back providing a view of the personalized oscillating weight bearing the brand’s PHI symbol, will delight devotees of fine watches. To be launched in Fall 2011.